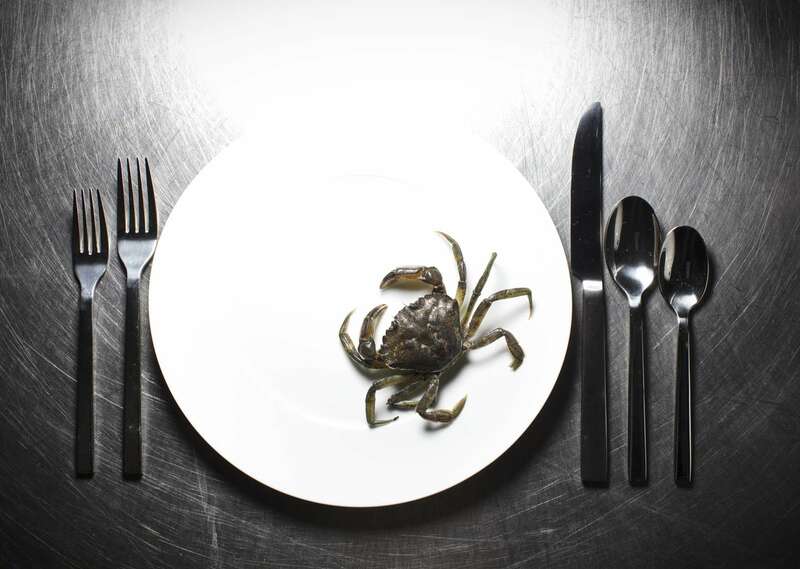 2/4/2015 - South Boston, MA - Legal Test Kitchen - Legal Sea Foods Executive Chef Richard Vellante, cq, is experimenting with cooking invasive green crabs that are killing the clam population as a way of helping to control them. Topic: 021515crabs. Story by Roger Warner. Photo by Dina Rudick/Globe Staff.